Get Global Hotel Alliance Discovery Platinum status free! Get GHA Discovery Platinum hotel status for just £16 this weekend! Business Traveller magazine is running an excellent Black Friday deal this weekend – I believe it ends on Sunday night. If you didn’t think there was any reason to subscribe, because you always pick one up in the airport, read on …. The reason I am advocating a subscription to Business Traveller (apart from the quality of the writing of course) is that you will get one year of Platinum status with Global Hotel Alliance for free. If you have a stay at a GHA hotel coming up, especially at a resort, it may be worth subscribing for a year just to get this benefit. Once your subscription is confirmed, you need to sign up for Business Traveller Plus VIP membership here and claim your GHA Platinum status as well as various other benefits. What is Global Hotel Alliance? Global Hotel Alliance is a marketing group used by 33 upmarket hotel brands with a total of 550 combined properties. Kempinski is the biggest one you might be familiar with. Other big names include Pan Pacific, Corinthia, Omni, The Doyle Collection and Anantara. In general, these are strong national chains in their respective heartlands which have not – with the exception of Kempinski – made the jump to being global brands. GHA Discovery is the loyalty programme for Global Hotel Alliance. Because of the loose nature of the GHA grouping, it has not been possible to develop a points based redemption programme. GHA does not have the muscle with its members to make them accept £20+ per night for a reward night, which is all the major hotel programmes pay to their properties if the hotel is not completely full. Gold is the entry level, given to you immediately when you sign-up. This is well worth doing. It gets you free internet, free bottled water and a free newspaper. Platinum is their mid-tier status given after 10 nights in a year. Platinum gives you extra benefits on top – an upgrade to the next room category, 3pm late check-out and a local amenity. Black status requires 30 nights and gets you a 9am check-in, 6pm late check-out and a double upgrade. You receive Platinum status with your Business Traveller subscription – which will cost you as little as £16.49 this weekend. Whilst benefits are never guaranteed, I have had a few emails over the years from HFP readers who received good upgrades at GHA resorts. Those people only joined after reading about the Business Traveller offer in previous HFP articles. 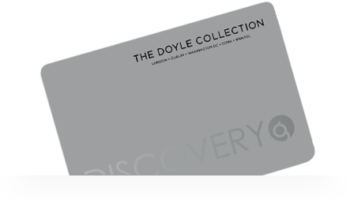 I’ve no idea if anyone will status match GHA Discovery Platinum, but that is clearly another interesting option to look into if you don’t have any other hotel mid tier memberships. The Business Traveller Black Friday offer is here and runs until Sunday night. Liz, would it not be better to trigger in January though? I’ve been spending all year to hit my 75K ! I’ve been Spire Eite for a few years – just trying to keep earning it. Just a couple of stays with points packages and a big drinks bill in Singapore with my brother! 😂 It’s getting harder for me now e-rewards and Virgin no longer earn qualifying points. Not yet received for me or wife. Mine posted yesterday as expected. Same statement date and account reset for me, no points received yet for me either. Mine haven’t posted yet either – should have come through on Thursday. Typical on the month I am going to hit Spire! It was August the last time it did this and they didn’t post till 30/8. Hopefully won’t do it again next month for those trying to hit Spire with next months credit card – could be a nervous wait. Mine have posted from both Black and White IHG cards. Wonder why some are posting and some are not. Thanks for this Rob. Looks like I can take advantage for a stay in London next week, if things get processed in time. As an existing GHA basic Gold member, presumably I should simply send BT my GHA number for them to upgrade the membership rather than create a new, Platinum one? Not sure who processes these – whether BT or GHA. Liz, no points yet either. OT, another IHG query in relation to Creation and Spire. I need to spend £10k to make Spire. Originally planned to pay in to SIPP on Youinvest until curve linked to Creation card but they blocked this. Any other ideas how to spend £10k? Happy to pay in to ISA if anyone knows who Creation will accept via Curve? Fully-refundable First class flight(s) for late next year? Ditto for a hotel booking? Thanks everyone. Not so keen on refundable tickets and tax bill up to date unfortunately Jon. I believe Curve limit payments to other cards to £500 per week now Anna. I’ve made a couple of £200 payments to a Creation account via Curve linked to HH visa. No issues and no charges at either end so far. I have my IHG card linked to my Curve card and my Curve card linked to my Paypal account. I have previously sent money to a friend’s Paypal account using the friends and family option, there were no charges and it went through on my IHG as a purchase. Although I have not tried “paying myself.” , I suspect that if I opened up a second Paypal account of linked to my bank account I could make lots of points earning transfers via IHG-Curve-Paypal1 – Paypal2 – Current account. I’d be very careful with PayPal and MS.
What do you mean by MS? Thank you Gengis for the advice, I will certainly take heed. Thanks Rob for explaining the abbreviation, I should have known that one! PayPal are notorious for investigating and suspending accounts with too many, large amount transfers to friends. Best to stay well clear as you coukd tie up your funds for weeks. Should be OK with curve. I’ve done a load over last few months. Just pay a friend with different addresses. For someone who doesn’t have a business putting that amount through your card/bank will raise questions if ever looked into, remember the credit reference agencies now report the amounts you paid off the cards per month for most of them and new lenders use this data. Curve seem to have blocked my card. Couldn’t pay in Pret, Costa or M&S, tried switching linked card from IHG black to Virgin, both fail. Cards used directly work fine. Perhaps overly used Curve for paying other card bills and funding Starling. Only done this recently, and quite quickly Curve stopped working. I occasionally have days when Curve doesn’t work. Initially I contacted them and they always said there was no reason that they could see, so I’ve come to assume that there is just an unexplained glitch from time to time and try again the next day. It does mean you need a back up card at all times though! My GHA Plat status (earned via biz traveller) expires in Feb 2019. Will they renew my status if I re-subscribe? I re-subscribed after a bit of a lapse a few months back, and emailed to ask if I can get another upgrade. I didn’t hear back, but logging into my GHA account today I seem to be platinum again! 2k was accepted into my Selftrade ISA on 28/8. Black ihg card via curve. Afraid no more recent data as allowance maxed out. I was hoping to go down the SIPP route after Christmas. Does anyone know of a provider where curve still ‘works’? My Hilton platinum status was achieved via a status match from GHA platinum, along with proof of a significantly expensive booking at various Oberoi properties in north west India for a forthcoming holiday. Note, Oberoi aren’t part of the GHA alliance, but it worked for me. Perhaps I just got lucky, but my original GHA platinum was only achieved via a ~£20 business traveller subscription. So are you saying that all I need is to get platinum in GHA and then provide evidence of a stay and I’ll get Hilton Diamond via status match? it is a status challenge rather than match, requiring 8 stays within 90 days or it expires. Status Matcher reports last entry was “Black” GHA member & was denied Diamond or any status match or challenge from HH. Thanks for the data point. Wonder if one can status match from Hilton to GHA then the other way around once Hilton status drops! GHA status matches are tough. They do them but I believe you need to provide proof of no. of nights stayed to achieve that applicable status being requested to match i.e. status earned through credit cards or fast track aren’t accepted. Varies by hotel chain. Thon only needs your membership card and a booking with them. Hotel matches are usually stated to be once in a lifetime from each hotel group offering them. That’s interesting! I have Hilton diamond for next year from a status match that I won’t be able to keep. I’ll probably sign Mrs S up and do another match just as the GHA status is about to expire. I assume that you have to book with GHA or on the hotel website to get benefits. Or would it be possible to book through hotels.com in order to earn reward nights, and still get the platinum benefits? I stayed at an Anantara earlier this year for 10 nights, and was awarded the room upgrade, late check-out, daily bottled water. I wasn’t awarded the platinum experience award though. Booked through hotels.com (or similar)? Upgrade and late check-out are the ones that I’m most fussed about! Sorry forgot to add booked through hotels.com. I booked an Alila property in Bali through Hotels.com and got all the GHA plat benefits aside from the “experience”. 5 nights I think. Upgraded to a pool villa. Not sure but it’s possible that for a 10-night stay, which would be significantly longer than most? the hotel may have taken the decision on that occasion to relax the rules a bit. So happy for @Matt E’s experience but might be a one-off. I’m in the market for an alternative to Marriott and If we can book through Kayak and still pick up elite benefits then points lost from Marriott stays will be reasonably offset by miles earned on Kayak. Presume you can go straight from Platinum to Black just by adding stays which would be useful for early arrivals. Thanks for this Rob, do you know what the official position is with third party bookings? Official position is no benefits for third party bookings. It’s clearly stated in T&Cs. However my experience was that this was waived. Thanks Matt. Think I’ll give it a try and see how it works out for us. It’s only £16 and the mag’s good. Does GHA status run for exactly 12 months or is it date based like Hilton? Has anyone used GHA Platinum & proof of one stay & got Platinum status match challenge from Hilton recently? It’s been over 3 weeks for me now and they’ve not posted. Emailed Iberia and no reply. Anyone got an Iberia email address that works for chasing points please? Also, is there a HFP Xmas party this year? Hopefully! Should be announced on Tuesday if we can finalise Monday. 11th December looking likely. Blast! If its the 11th Dec… I’m committed to playing in our local orchestra Christmas concert. Any Highlanders around, you’re in for a treat with ‘The Truly Terrible Orchestra’! You are better off dealing with Avis here… if the points haven´t arrived, check Avis! I thought the 9000 bonus were a promotion from iberia rather than Avis? I suppose it doesn’t harm to ask them too. The base 700 posted within a few days but nothing since. Don’t even think about it. Paypal call centres are IME a nightmare even if it’s something simple. this is not. A financial institutation or operator such as Paypal will perceive MS as money laundering. Any hint of MS by a user will panic any financial institution into blocking your account and becoming impossible to deal with. Because this kind of activity threatens their licensing and potentially their business. Don’t even think about it. For these reasons if someone ever does work out how to do MS without it being noticed by the financial institutions being used then you won’t see it on forums either. Not if anyone’s got any sense. @lady london – Totally agree but some people think they can buck the system and will never get caught even when they have been warned. PP is not the corporation out of all of them you want to be playing, they clamp down hard & fast. I think twice a month is about all you can get away with. Above was a reply to @Mark E. No idea why WordPress has put it here. I imagine they’d do anything to escape Harry. heh heh! Not just yet. I guess I could get her any status/ upgrade going thru Plat for those hotels if it’s worth anything with an IB Avios booking? Any ideas? After Rome my younger son 16 has refused to go with them to Sevilla, lazy boy but understandable. I’ll be out at the place in the sun with other son 18 (October half term) planting stuff. Yep – I guess same old same old can get a bit boring (not for me, I love it out there with my big garden etc). I love Sevilla btw. Just had a chat with Hotel Silken Al Andalus Palace and they say it’s just EUR1.40 to get to historic centre, coach every 15 mins, journey 10-15 mins, so I think that’s their first choice, unless anybody tells me different? I have no experience with NH Hotels, but going to Barcelona soon, and needed a hotel as close as possible to Camp Nou. Of all the chains NH seems to be the closest one. I noticed on their website they are running an offer for new members, where they give you €100 credit to use on next hotel stay after your first night (if I’m reading it correctly). From t&cs it looks like the first stay has to be before the end of 2018, and you need to check out of your subsequent (free if under€100, or discounted by €100 if over) stay no later than 30 days after your first stay. Might be helpful, if that Sevilla stay is before the end of 2018. It seems that they have decent footprint in Germany and Spain, and some presence in EU and South America. Seems like a decent offer, if I’m reading the t&cs correctly. Not sure if I can post links, but you can find t&cs at NH website under ‘offers and ideas’. They’re also having a Black Friday sale at the moment with up to 50% off some properties if booked before 26th November. I’ve been to NH Vienna airport and it is pretty tired but the breakfast buffet was good. I think I picked up from somewhere that Hyatt were interested in purchasing them although I could be wrong. Ah right so your booking them through the Iberia portal then and beating 1st Dec deadline. Sorry I didn’t read it properly. You’ve still got 5 days to go and you’ve already contacted hotel Silken so perhaps go with that if it ticks most of your boxes. Sorry can’t be anymore helpful unless someone one flyertalk has done a review. The regular Melia is right by Plaza de Espana park, but a little walk from the rest of the sites, pretty decent. The Sevilla Macarena used to be a Tryp, but seems to have re-branded, no idea if they’ve done a refurb or not in the process. Amazing old building, but felt like it was stuck in the 70s…. Rates could be pretty good there though! I’ll start googling them tomorrow but do any of you experts know which (if any) of the hotel groups on this GHA list other than Outrigger have properties in Hawaii? Visiting Kauai & Oahu next summer and not familiar with the islands or most of the brands in this group.